This is a Colotis evagore female with open wings. Ps. 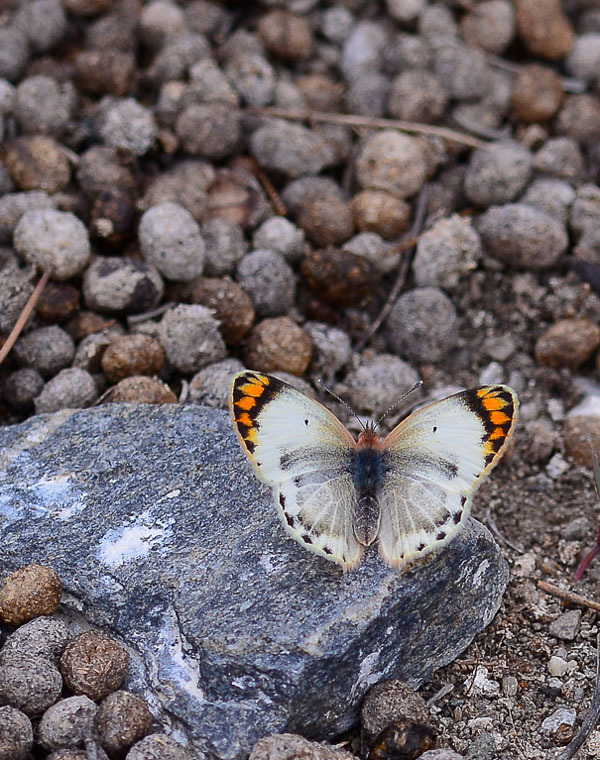 The small balls surrounding the butterfly are rabbit droppings. An attractive vertical shot, me assessing the surrounding round like balls and this is well place at the perfect position with beautiful colours, TFS. Amazing colors and composition with a lovely colorful specie of butterfly. I like your idea here, Jose, to provide bit extra space in front of the butterfly.